A complete course, packed with instruction and profusely illustrated. 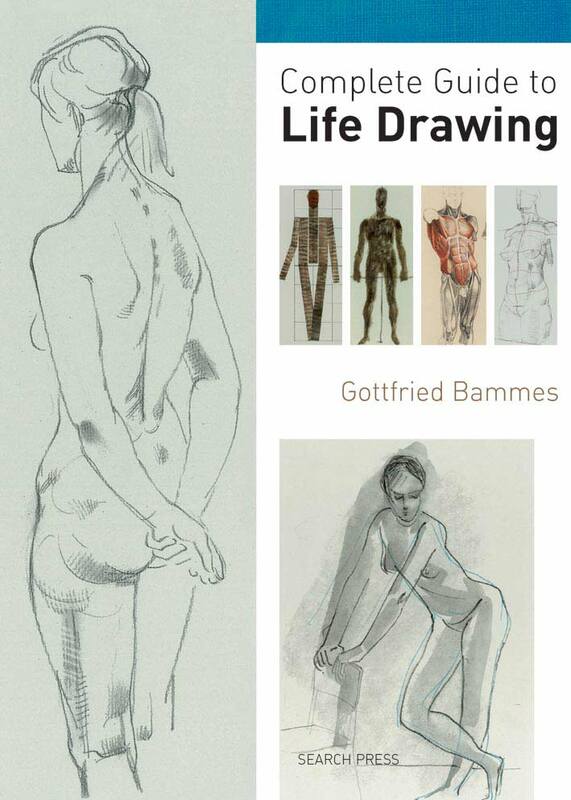 This fantastic book is all you need if you want to start drawing the figure, or if you want to develop your life drawing skills. It is the ultimate reference book, a most inspirational guide and above all it offers everything you ever needed to know, including tips on simple ways to ‘get it right’, essential advice on anatomy, help with easy drawing methods and many different examples of the drawn figure. It is important to understand how the body works and detailed sections show hands, feet, faces, limbs and much more. A complete course, packed with instruction Detailed and beautiful drawings, especially on anatomy An inspirational guide with invaluable tips and advice. Gottfried Bammes, born in 1920 in Freital, Germany, worked as an art teacher at the College of Fine Arts in Dresden. Bammes was a prolific writer and artist, was considered to be a master of life drawing and anatomy,and produced numerous books on the subject in his lifetime. In 1974 he was awarded the National Prize of the German Democratic Republic for Science and Technology and received the Culture and Art Prize of the City of Freital in 2000. He died in 2007.